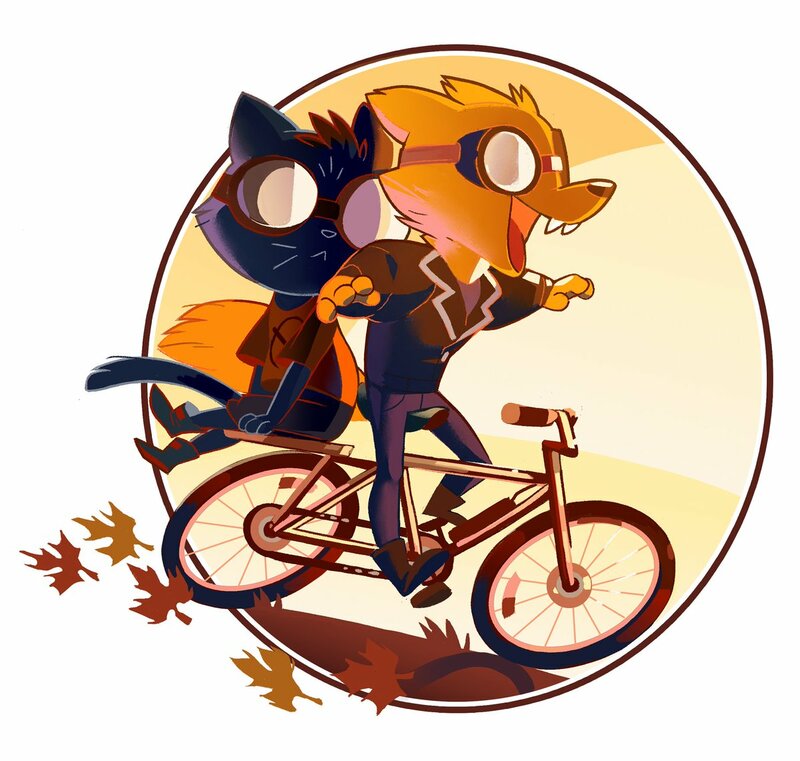 NIGHT IN THE WOODS is an adventure game focused on exploration, story, and character, featuring dozens of characters to meet and lots to do across a lush, vibrant world. After a successful Kickstarter, it's being made by Infinite Fall, a teamup of Alec Holowka (Aquaria), Scott Benson (Late Night Work Club), and Bethany Hockenberry. Gather round the campfire and trace the constellations in Longest Night, a free supplemental game! 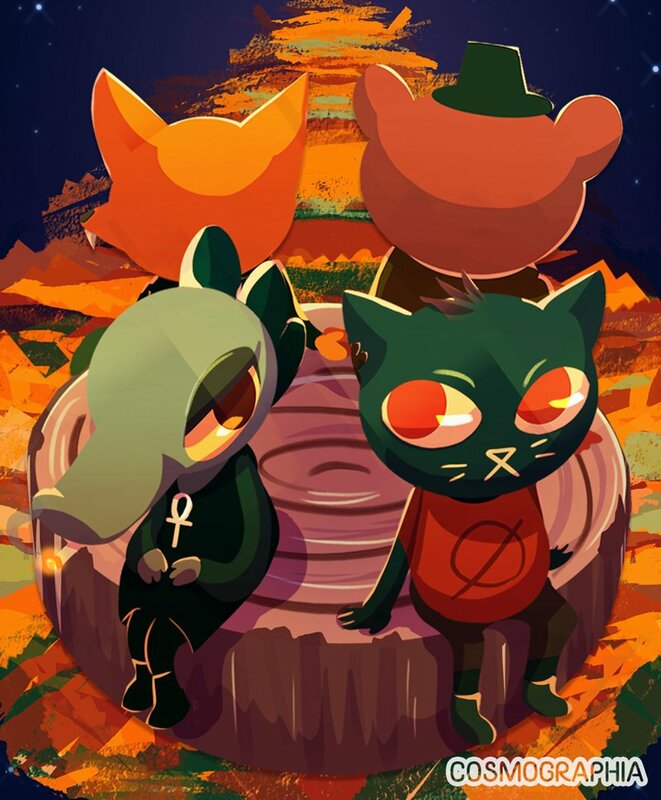 Made in one week in December 2013 as a first project, a mere month after the successful Kickstarter when the team were learning to make things together and first building the world of Night in the Woods. Lost Constellation is a Longest Night ghost story. 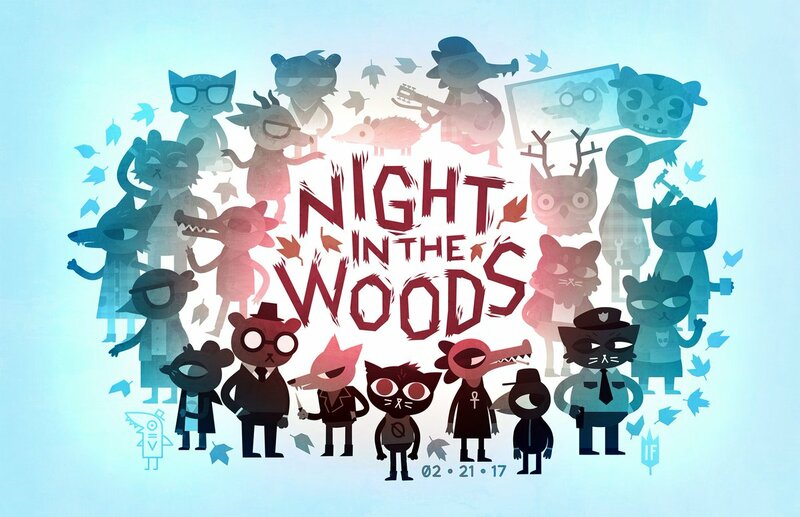 Travel into the frozen woods in a folktale from the world of Night in the Woods. It was made by Alec Holowka, Scott Benson, and Bethany Hockenberry in the last weeks of 2014. "To play Lost Constellation is to wrap yourself in a fleece blanket and shelter yourself from the cold." 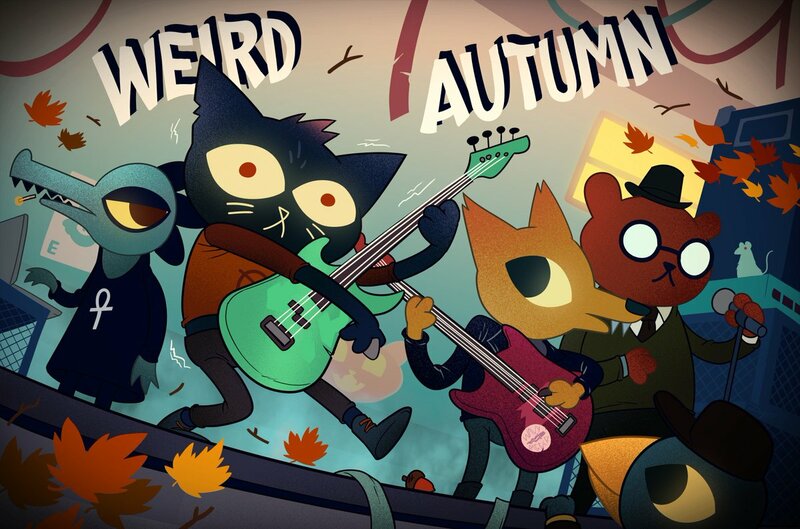 "It's reminiscent of a dark, Dickensian haunting or something even earlier and more primitive"
The absolutely gorgeous soundtrack to Night in the Woods has officially been released! The soundtrack is comprised of roughly 125 tracks spread over three volumes. The first two volumes are $7 USD a piece, while the third volume is $5 USD. So, this game has finally come out. It's primarily made by just three people and it's amazing. It made me tear up a lot. It made me laugh harder and more often than any game I have ever played. And I just really want more people to know about it so they can hopefully fall in love with it just as much as I did, so I thought I'd make this thread since I couldn't find one. So yeah. Everyone go check out this game! --If you're on the fence, you can check out the two free supplemental games they've released, as detailed above. 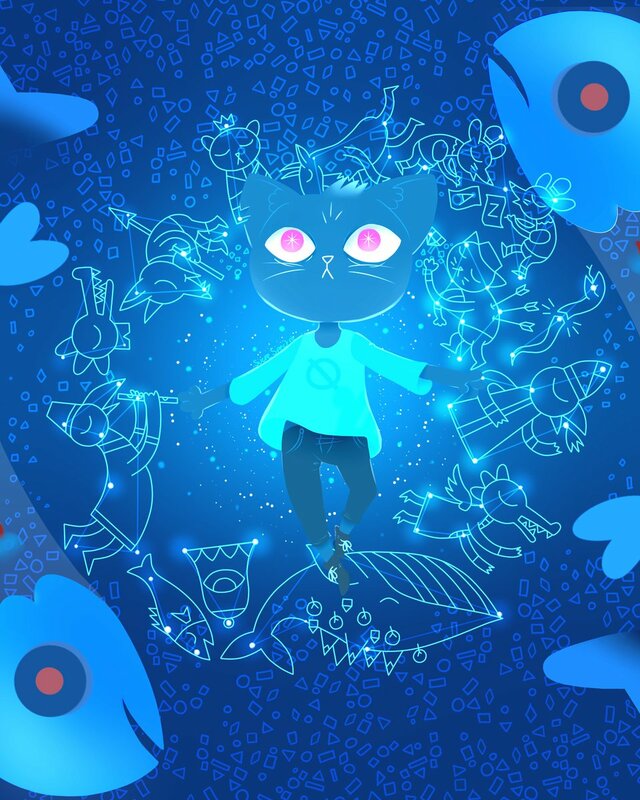 They aren't perfect representations of Night in the Woods proper, in some ways they are very similar and in others they are very much their own thing (their tones in particular are quite different, as Lost Constellation is a folktale while NITW is more humourous and grounded in reality), but they might serve as a good feel for the sort of game that Night in the Woods is. Ooh, this looks really interesting! Definitely going to check this out. Did you play this on console or PC? I personally played it on PC. Tinny played it on PS4 and we both had good performances with it (my framerate dropped a bit in some of the bigger set pieces, but I think this is mostly because my PC is an old dusty laptop, and even with the drops I didn't find it took away from anything. Tinny didn't experience any framerate issues, so if you're worried about your PC's performance, the PS4 is a safe bet). I too have a have a laptop which is already a few years old so I am gonna play it safe and play this with a PS4. I checked on PS store and the game is not yet available on my region. It released the 28th and I`ll pick up then. It will be nice to play something a bit smaller since I have played quite a few open world games in a row now. It is a deceptively big game. Not like open-world big, but you can dive into so many of the nooks of the world and explore so many things. After playing a few hours I can say that you were right. There is so much stuff you can explore and so many interesting and fun discussion to be had in this game. Wow. I like this game a lot! The humor in the dialogue is really fun and I have found myself laughing out loud after some of the jokes. It also feels pretty natural and something you`d expect the characters to say. Possum Springs feels very real. I am from a rather small town so the sight of closed shops, old buildings and aging people is a rather familiar sight. God, the creators have really captured the feeling of a small, slowly dying town which used to shine so bright in the past. The situations of the characters feel real too. 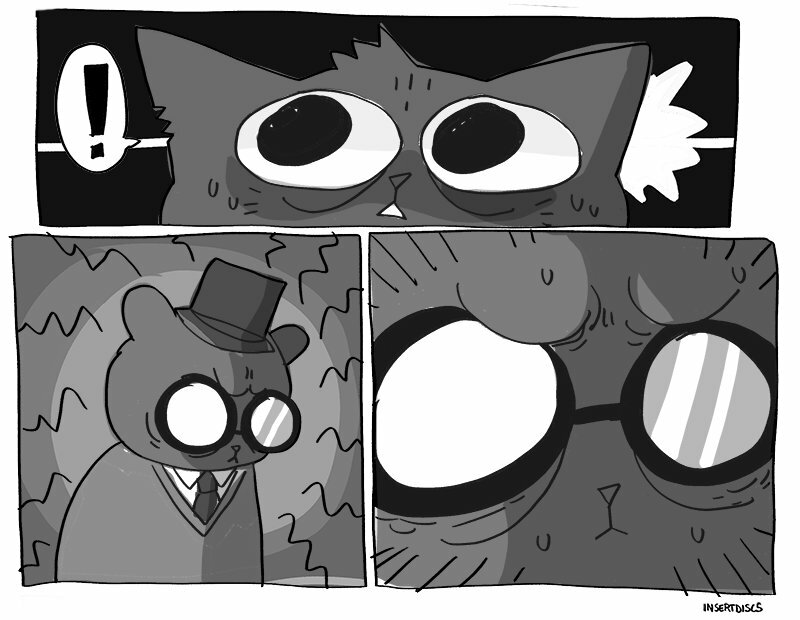 Like when Mae and Bea are coming back from the party in the beginning, and Mae is drunk and she starts ask all sorts of things. Bea then tells how much she wanted to go to college and that Mae just dropped it makes her angry, and that makes Mae burst into tears. Like, that felt real in a good way. I bought this game yesterday off of Steam. I've been greatly enjoying the gameplay and story so far. <3 I really like Mae playing bass. It took me a few times to hit the right notes, but it was worth it. xD And some of the interactions with other animals have been hilarious. Especially her parents. True. xD I might do that next time once I'm through my first play through of it. I do wonder how much of the game changes based on your answers? four parts and an epilogue, i believe. Anyways, I finished the game just a minute ago! And I loved it. I can see why you'd recommend it because, the characters are really relatable. The story itself was pretty awesome too. 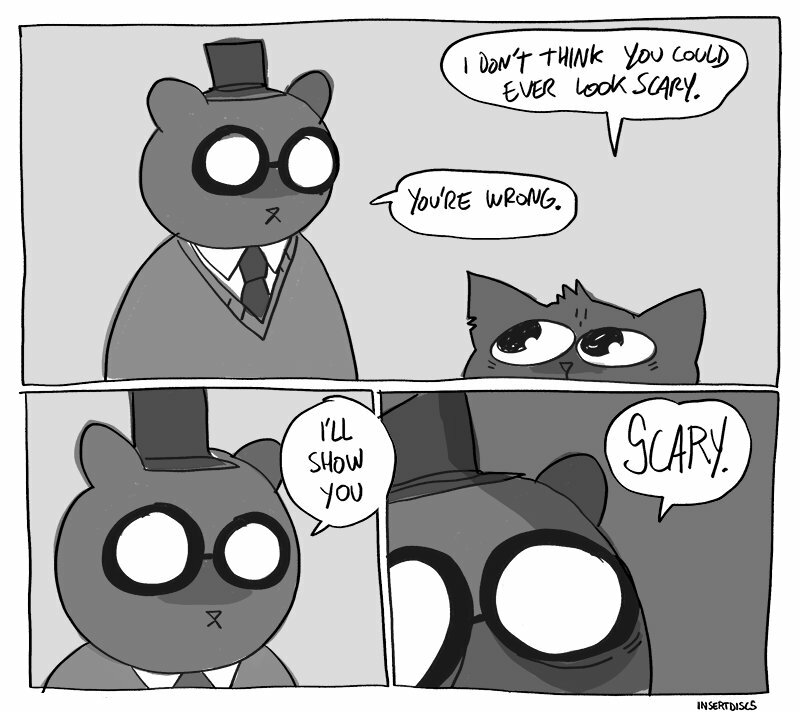 I really like Gregg the most. 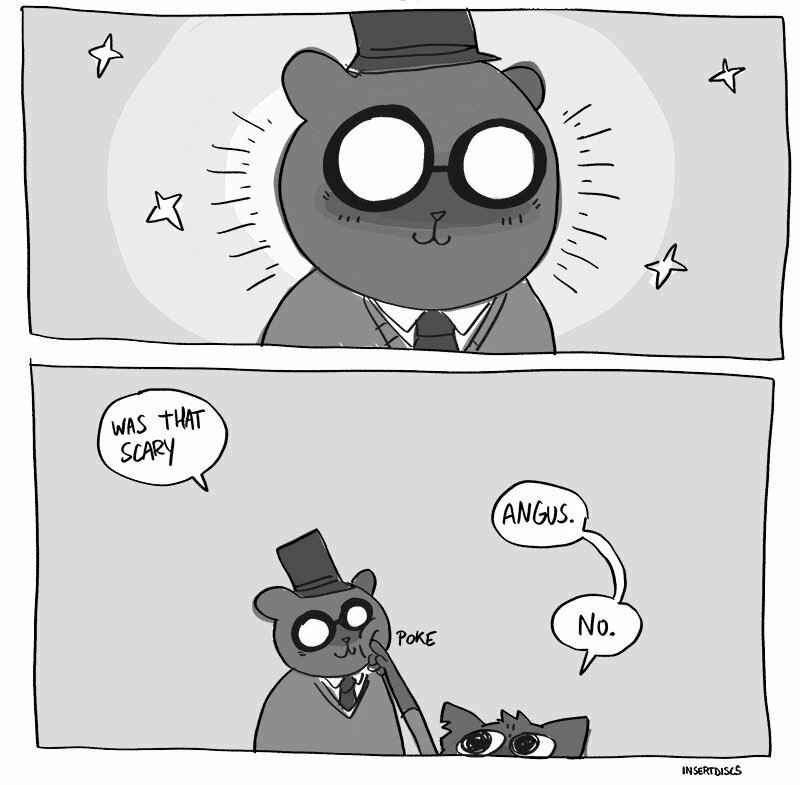 xD I'll admit, I had a really hard time not spoiling myself on anything during it. I'm thinking about playing it again in a little while. I'm going to be listening to this for a long time. @Cinder, yeah you should definitely play it again soon, this time focusing on Bea! Who you hang out with most changes the ending and such, so it's definitely worth a second playthrough to see the other half of the content you can miss, imo. Man, I need to do a second play trough of this game one day. 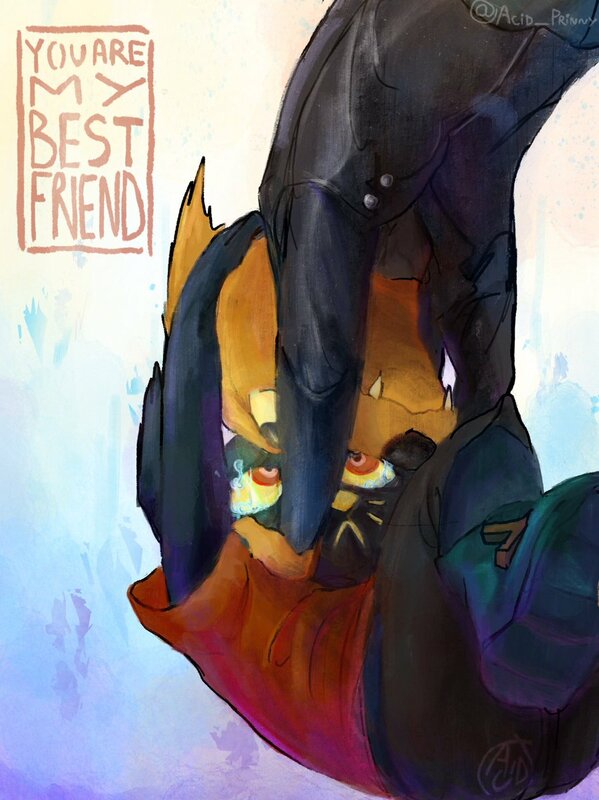 I tried to balance out my time with Mae`s friends so that I would hang out with them equally, but in the end I ended up spending more time with Bea. I missed a lot of hanging out opportunities with Gregg. I guess the best method is to choose one of the friends to commit to, and then see what the other activities the others have during a different play trough? I am not sure I understood Mae problem about the odd shapes. They sounded pretty scary but I am sure I understood what she meant. Also, what are folks theories about the Janitor guy? He seemed like a normal dude at first, but as the story progressed he became quite mysterious. Some people suggest that, I don't really, lol, at least not for the very first playthrough. I feel like doing exclusive playthroughs on the first go makes that playthrough feel a little less than since it means you see nothing of the other character at all, which is a shame. For me I like the kind of alternating thing, and then on a second playthrough just making the opposite choices. But yeah, it's a game designed for two playthroughs as it's impossible to see everything in a single one. So I definitely recommend giving it another go sometime. she basically suffered from something called derealization/dissociation, where she no longer saw the people and things around her as alive or real. combined that with depression and anxiety. a lot of people theorize that he's the Forest God. When you talk to the teen witches, they ask you what god is and you are given three options, and people think that each option describes one of the gods in the game (the NotGod/CatGod, the Black Goat, and the Janitor). The one people think matches the janitor is the choice that god is "caring, but absent". 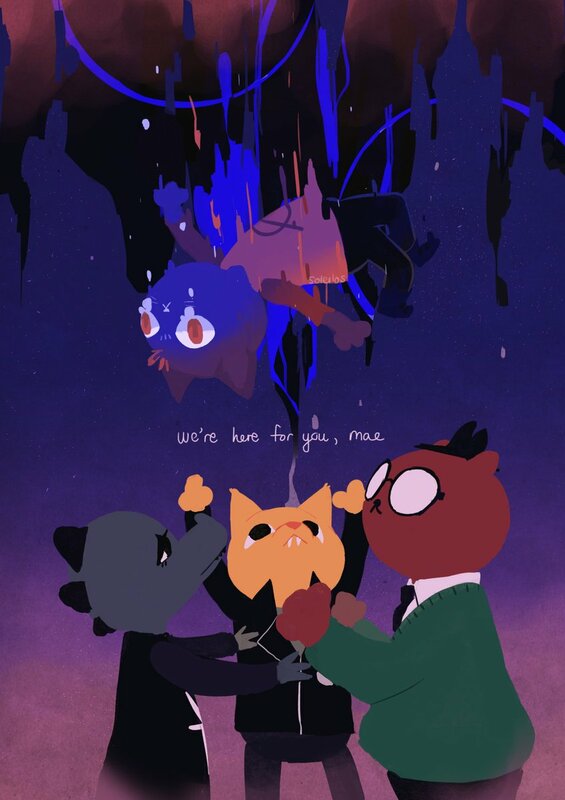 Yeah, now that I think about, if I had not seen anything about Gregg`s or Agnu`s side, and just everything from Bea`s side, it would have felt little less. Aah so that`s what it was. Thank you, I think I understand now. "Caring, but absent" sounds fitting to me. It seems that he cares about what is happening, but he is not around much. i thought i'd share some really nice fanart pieces that i've seen around. I'm definitely interested in buying this, though I wonder why the uploader has disabled likes and comments? i also added it in the OP. some brand new stuff is up and will continue going up over the coming months.